This stainless steel basin tap has the latest in progressive water mixing cartridges which are ideal for easy mixing of hot and cold and water saving. Each exclusive bathroom tap is Italian styled with a satin brushed body and supplied with 8 colour handle choices made in glazed ceramic. 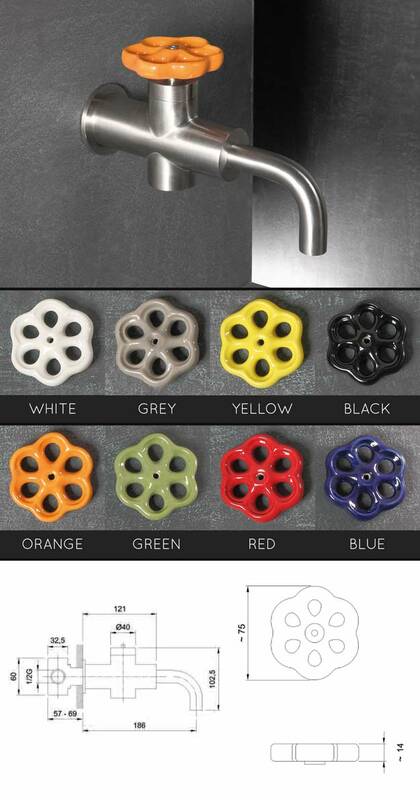 * 8 colour handle choices.